The Reformation versus the Post-Reformation? For quite a while it was customary for historians, theologians, and preachers to bewail the post-Reformation as a sort of regrettable appendix to the glory-days of Calvin and Luther. I certainly encountered this way of thinking in my theological training. I was taught that the Reformation was a glorious return to the Word of God, but immediately after the Reformation “scholasticism” negated many of its great gains. Moreover, it was alleged that many of the problems in Reformed theology in the last 200 years can be traced back to this scoundrel, “scholasticism.” It ruined almost everything. “Scholastic” thus became a loaded, pejorative term. If you heard a Reformed minister or theologian describing someone as “scholastic,” you knew that they were one of the bad guys in theology. All this came to mind again as I was reading Nancy Pearcey’s Total Truth: Liberating Christianity from Its Cultural Captivity (Crossway, 2004). I have much appreciation for the book’s overall argument. Pearcey believes we need to recover the idea of a Christian worldview and I fully agree. However, I do take issue with some of her historical analysis. In chapter 2 she describes how medieval theologians like Thomas Aquinas formulated a view of creation that involved a nature-grace dualism. It is a two-storied view of reality. The Reformation, however, overcame it. Writes Pearcey, “The Reformers sought a return to a unified field of knowledge, where divine revelation is the light illuminating all areas of study” (page 81). Thus, away with dividing life into secular vs. sacred. All of life is one before the face of God. We are called into this world to live all of life according to Scripture. Where to begin in discussing this? First I wonder: why would it have been necessary for the “Reformers” (this is a broad term) to craft a philosophical vocabulary to express their new theological insights? From my reading of Calvin, to take but one Reformer, he was quite able to adapt the existing theological/philosophical vocabulary of his day in order to express himself. For example, in his discussion on providence in the Institutes (1.16.9) he writes about absolute necessity (necessitas consequentis) and consequent necessity (necessitas consequentiae). Why would there be a need to create a new vocabulary? The existing vocabulary was already quite rich. Why would a new vocabulary have to be crafted to repel philosophical attacks or to create an alternative to dualistic philosophy? I fail to see how all this follows. My non sequitur alarm bells are ringing. But more significantly, note Pearcey’s own vocabulary: “the dualistic philosophy of scholasticism” and “teaching scholasticism in the Protestant universities.” She assumes that scholasticism is something with a definite content, including Aristotle’s logic and metaphysics as its basis. Scholasticism was taught in universities, she says. But nowhere does she precisely outline the content of this “scholasticism.” She does not indicate whether she’s speaking of theology, philosophy, or any another field of study. Moreover, nowhere does she indicate whether or if this post-Reformation scholasticism differed from pre-Reformation scholasticism in any way. But she is quite sure that it was a bad development because it ensured that dualistic thinking would be harboured in Protestantism for some time to come. The broad generalizations here raise these and more questions. Here’s the nub of the problem: scholasticism was a method of teaching. As a teaching method, it was especially marked by the use of careful definitions, distinctions, and argumentative techniques. It was a method used across the spectrum to convey different systems with widely differing theological content. There were Roman Catholic scholastic theologians, as well as Lutherans and Reformed. The scholastic teaching method was used both in the classroom and in writing. However, there are examples of theologians often identified as scholastic writing books that are not at all scholastic. Some of the best post-Reformation works on Christian piety and experience come from men who spent much of their time in the academy using the scholastic method. A friend (an expert in this area) pointed me to Antoine de Chandieu. This Huguenot theologian used the scholastic method in various works, but he also wrote a collection of meditations on Psalm 32. I might point out too, that though it sometimes happened, it was considered bad form to take the scholastic method into the pulpit. It was meant for the university context, not the church. Readers wanting to look into this more should have a look at this book. Pearcey also argues that post-Reformation scholasticism used “Aristotle’s logic and metaphysics as the basis of their systems.” This raises questions too. Are we talking about theology? What do you mean by “basis”? What do you mean by “system”? What time period are we discussing exactly? Let’s say we’re talking theology, so systems of theology. Let’s say by “basis,” Pearcey means the foundations, what it’s based on. To be even more specific, let’s say we’re talking about the period of early orthodoxy (1565-1640). Let’s then take one of the preeminent handbooks of Reformed theology from this period, the 1625 Leiden Synopsis. What was the basis of the Leiden Synopsis? “We shall commence our disputations with Scripture, since it, being divinely inspired, is the principle for the most sacred Theology, its source of proof, and its means of instruction.” Scripture is the principle, the basis (or to use the technical term, principium cognoscendi). Nothing about Aristotle. From my reading of post-Reformation Reformed theology, this is typical not exceptional. Contrary to what Pearcey and others have argued, the post-Reformation did not negate the gains of the Reformation — it built on them. Or to put it in other terms, there is more continuity between the Reformation and post-Reformation than has sometimes been recognized. So where does that leave Pearcey’s attempt to explain the continuing prevalence of dualistic philosophy? I reckon she has to find another explanation. Perhaps the cause has more to do with something as simple as the innate human proclivity to double-mindedness. Though not nearly as often as previously, I still sometimes see the word “scholastic” used as a pejorative – in other words, as a nasty term. If someone is deemed “scholastic,” then he must be one of the bad guys in the history of theology. It’s similar to the word “Puritan” for some people. It’s an insult. If someone is “Puritan” or “Puritanical,” then he must be, at best, suspicious. It’s the same with “scholastic” – a dirty word that instantly casts a dark cloud. At one point in time, these types of notions were wide-spread. However, in the last two or three decades, there has been a shift in the way scholasticism is discussed. This is owing especially to the influence of scholars like Richard Muller, David Steinmetz, and Willem van Asselt. It’s now widely recognized that scholasticism was a method of teaching theology – it did not have content as such. There were medieval scholastics, there were Roman Catholic scholastics, there were Lutheran scholastics, and there were Reformed scholastics. Each used the scholastic method to teach the theology they considered to be correct. I came to better appreciate this teaching method through my doctoral research on the Belgic Confession. Medieval scholasticism is in the background of the Belgic Confession, especially in its structure (see ch. 4 of For the Cause of the Son of God). Protestant scholasticism is even more so in the background of the Canons of Dort. The Canons themselves are not scholastic – and that by design – yet they bear the marks of men who benefitted from the method. It should be no surprise. Many of the delegates to the Synod of Dort were either theologians who used the scholastic method or pastors who had been scholastically trained. I’ve also benefitted from studying this method. While I think it would be inappropriate to import the scholastic method into today’s world, there is still a good deal to be learned from it, especially as it was implemented by Reformed theologians in the post-Reformation era. Let me share ten things that I’ve learned from Reformed scholasticism. Reformed scholastics are sometimes dismissed as “proof-texters.” Throughout their theology works, they make references to Scripture, but don’t always enter into exegetical discussions in those works (there are exceptions). But that doesn’t mean that exegesis was completely out of the picture – far from it! In fact, before writing works of theology, many scholastic theologians had first produced exegetical works. Just on the book of Romans, the Post-Reformation Digital Library indicates 236 titles. Not all of them are Reformed works, but many are. Intensive biblical study was the foundation for Reformed theology taught using the scholastic method. Ours is an age often indifferent to history. As a method in the hands of Reformed theologians, scholasticism worked with the thoughts and conclusions of those long dead. For example, I turned to a random page in an important scholastic text often referred to as The Leiden Synopsis. Antonius Thysius is discussing what it means to be created in the image of God. He refers to the view of Tertullian and others that “the entire man is propagated from the whole man.” Later on the same page, he interacts with another church father, Origen. That they were so intimately familiar with these church fathers demonstrates that their discussions were on a different level than many of ours today. While they were not the first ones to understand this, Reformed scholastics maintained that biblical theology is an inter-connected system. In this system, all the parts do relate in some way to all the other parts. Moreover, it was clearly understood by most of these theologians that there is a “logic” built into Christian theology. Therefore, when you read a text like Amandus Polanus’ Syntagma Theologiae Christianae, you can expect that he will begin with preliminary matters (prolegomena), move to the doctrine of Scripture, then to the doctrine of God, deal with creation, sin, redemption, and so on, up to the doctrine of the last things. This pattern has been continued by many systematic theologians since. Of how many kinds of faith do the Scriptures speak? In what does faith differ from hope? What are the efficient causes of justifying faith? What are the effects of faith? To whom is it given? This method was also employed by Francis Turretin in his Institutes of Elenctic Theology – as well as by many others. Theologians often use the same words but with different meanings. A Roman Catholic theologian will use the word “justification,” but he means something quite different than what a Reformed theologian means. Hence, it is always important to precisely define important terms. Going back to justification, we can note Petrus van Mastricht as an example. In his Theoretico-Practica Theologia (6.6), he first gives an exegetical overview of the relevant Scripture passages (see point 1 above) and then moves into a dogmatic discussion based on that. As part of that, he provides a precise definition of justification: on account of Christ’s righteousness, God absolves believers of all their sins and pronounces them righteous to eternal life. Justification, according to van Mastricht, includes God’s imputation of our sin to Christ and his righteousness to us. He does not assume the definition of this key term, but makes it clear and proceeds on the basis of that. I want to make a few comments on this book, but not a full-fledged review. This is an excellent doorway into the world of post-Reformation Reformed theologians. It condenses the best in some of the most recent scholarship, particularly from the Netherlands. It continues the program of deflating anti-scholastic biases. For example, the authors illustrate in a number of places ways in which John Calvin employed scholastic methods in his writing and teaching. Calvin’s issue was never with scholasticism as a method in general, but with the specific theologians of the Sorbonne. The authors demonstrate how the high orthodox period was not, as is often portrayed, rationalistic, nor did it contain the seeds of the Enlightenment. One of the important contributions of this volume is to the history of apologetics in this period. It includes a translation of a disputation from Gisbertus Voetius on “The Use of Reason in Matters of Faith.” There is also a reading guide to assist the novice in understanding his approach. Elsewhere Van Asselt briefly surveys the development of “physico-theology,” a form of theology based on the study of nature, developed in response to the pressures of Enlightenment skepticism and atheism. Fascinating stuff, this. Richard Muller is usually touted as the go-to man for getting to know the post-Reformation. Rightly so. However, novices to this field can sometimes find him difficult to access. 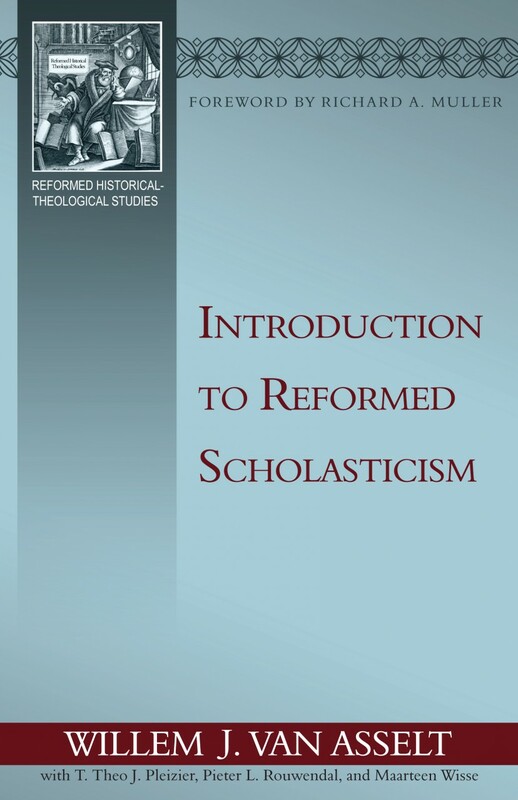 Introduction to Reformed Scholasticism is now the best place to start. Albert Gootjes deserves our thanks for translating it and Reformation Heritage Books for publishing it. I’m going to be turning to it often. Trueman goes on to note how the categorical distinction (archetypal/ectypal theology) demonstrates that Reformed scholastics and their progeny rooted their theological reflections “not in any true rationalism but in the free, condescending revelatory acts of God himself.” This is, therefore, “not rationalism in any recognizable Enlightenment sense” (29). He argues that the Arminian rejection of this distinction “left the theology of the Remonstrants peculiarly vulnerable to incursions of rationalism in the later seventeenth and eighteenth centuries” (30). There may have been rationalistic elements in Reformed scholasticism, especially in the late period, but to paint scholasticism as a whole as rationalistic is facile. Yet people keep on doing it. Where Was the Location of the Synod of Dort 1618-19?